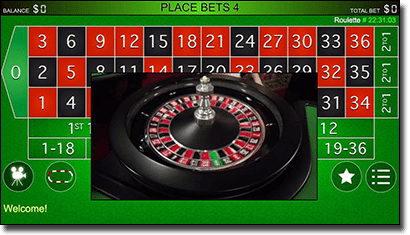 In the modern era, live roulette croupiers can be streamed directly to your mobile device. Whether you have an Android, Apple, or Windows smartphone or tablet, you can play real money roulette wherever you have an Internet or mobile data connection (3G and 4G means anywhere and everywhere). When we say you can carry around your very own roulette dealer, we don’t mean physically. 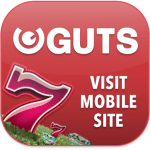 Instead, we are referring to the fact you can log on to reputable mobile casinos with your smartphone or tablet and access a live dealer on the go. Sign up by tapping our links to view the catalogue, and make a deposit with one of the many AUD-friendly payment methods to get playing the titles. You can also install the web app onto your Samsung, iPhone, Windows Phone, or other smartphone or tablet via the homepage and this will allow you for direct access from your home screen to the live casino catalogue, as well as other casino games optimised for the HTML 5 platform. You can find an array of live dealer roulette games with varying featuring and table limits at our recommeded mobile casinos. There are a number of differences between the three software developers. Before we get into those, we just want to note the similarities: All have to be played in landscape mode on smartphones, but on tablets you can opt for both landscape and portrait modes (Extreme requires the table layout in portrait mode but you can view the video feed in landscape). All titles require you to be logged in to play and for each title you need to tap your screen’s device on the animated table interface to place your bets. Portomaso Gaming have set up their dealers in actual casinos in Malta, including the Oracle casino in St Paul’s Bay and the Portomaso casino. This adds to the ambience of trying to created a mimicked land-based casino since they are streaming live from actual casinos. Evolution Gaming and Extreme Live Gaming both have studios, located in Malta and London, where tables have been set up specifically for filming. Since you can see the tables in the background and the setting has been designed to look like a casino, there isn’t a huge difference to the ambience. As you can see from our list above, Extreme Live gaming seems to have more unique variants than the other software developers, including Lucky’s Lady Roulette, Roulette Ra, Dolphin’s Roulette and more. The other software providers seem to keep it simple either varying it up with table limits, studios, or languages. The layout for the live roulette catalogue from each software provider isn’t vastly unlike, but there are a few minor differences. Evolution Gaming and Extreme have have put the dealer in the centre of the screen with a 2D table layout just under the video feed and you can opt to view it or remove it by tapping the video icon and instead view the table layout. You can also swipe right for a full screen view of Extreme’s video feed. Portomaso on the other hand has a bird’s eye view of the real tables at the casino often panning to see the dealer or zooming to see the roulette wheel. You can tap to have the table layout on top of this feed and remove it once bets are placed. Extreme Live Gaming and Evolution Gaming offer their live titles 24/7, while Portomaso Gaming live croupier roulette is only available to play at certain hours of the days – between 10am and 5am CET. What mobile devices should I play live dealer roulette on? Modern smartphones and tablets should all be compatible with live dealer titles however Apple, Android, and Windows are the best operating systems to play live roulette with.